Keystone RV Company is recalling 64 model year 2017 Dutchmen Coleman recreational trailers, model 2515RL. The vehicle's federal identification tag contains incorrect tire and rim size information. As such, these vehicles fail to comply with the requirements of 49 CFR Part 567, "Certification." Incorrect label information may result in the operator using the wrong rim size for the vehicle, increasing the risk of a crash. Keystone will notify owners and will supply a corrected Federal Identification Tag, free of charge. The recall was expected to begin in February 2017. Owners may contact Keystone customer service at 1-866-425-4369. Keystone's number for this recall is 17-277. Carrier Corporation of Jupiter, Fla., is expanding its earlier recalls of Packaged Terminal Air Conditioners (PTAC) and Packaged Terminal Heat Pumps (PTHP). Another 94,000 are being recalled in addition to the 285,000 recalled in December 2015, 185,000 recalled in November 2007. The power cord plug can overheat, posing a fire hazard. The company has received 14 additional reports of overheating. No injuries have been reported in the additional incidents. 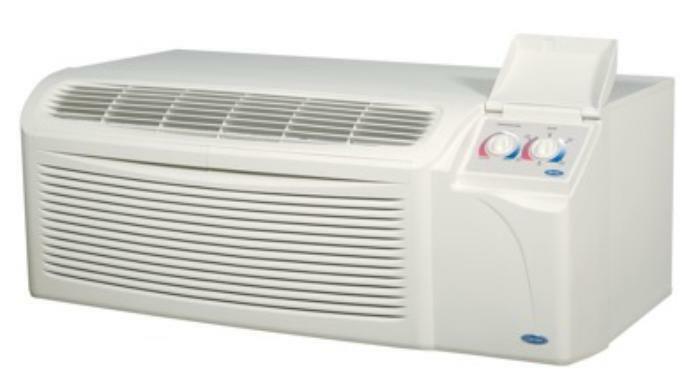 The air Conditioners and heat pumps, manufactured in Mexico and China, were sold at HVAC dealers and factory-direct sales nationwide from January 2002, through December 2009, for between $425 and $675. Consumers may contact Carrier at 800-761-8492 from 8 a.m. to 6 p.m. (ET) Monday through Friday or online at http://www.carrier.com and click on Important Product Safety Recall for more information. 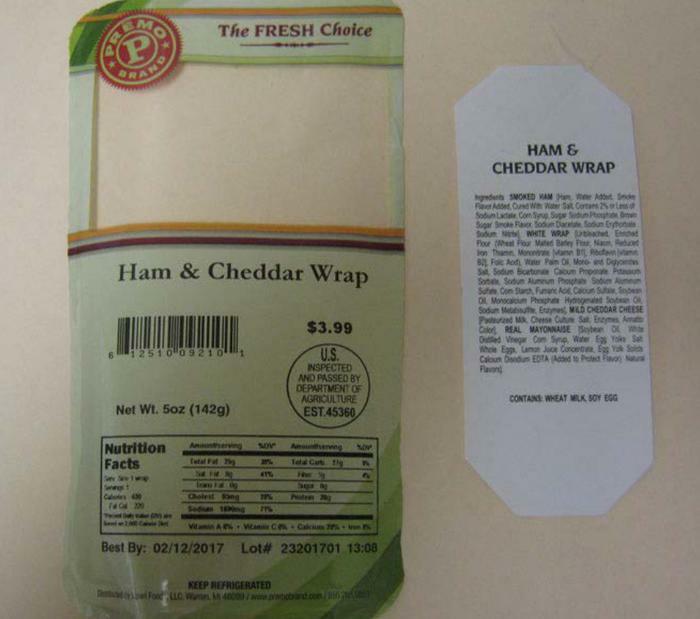 The Agriculture Department’s Food Safety and Inspection Service (FSIS) is issuing a public health alert for meat and poultry wraps produced by JLM Manufacturing of Shelby Township, Mich. The products may be contaminated with Listeria monocytogenes. A recall was not requested because it is believed that all products have been consumed and are past their “Best by” dates. The recalled products bear establishment number “EST. 45360” or “P-45360” inside the USDA mark of inspection and were were shipped to retail locations in Illinois, Indiana, Kentucky, Maryland, Michigan, Ohio, Pennsylvania, Tennessee, Wisconsin and West Virginia. 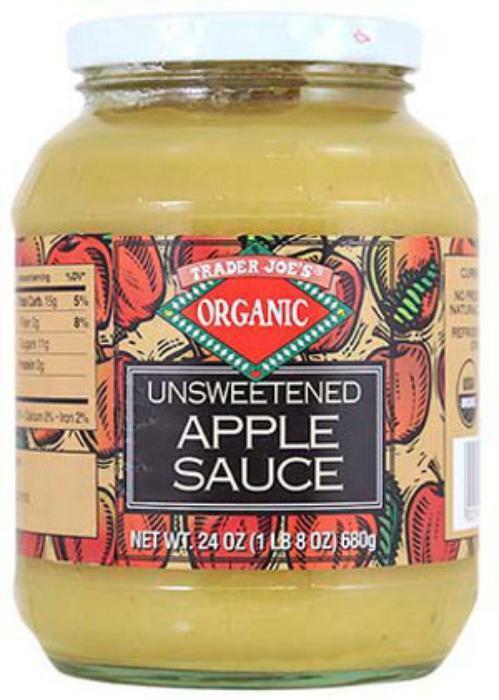 Manzana Products is recalling three different types of Trader Joe's unsweetened apple sauces that might contain pieces of glass. The company has received customer reports of glass found in some of the products. Customers who purchased the recalled products should not consume them, but return them to Trader Joe's for a full refund or dispose of them. Consumers with questions may contact Manzana Products at (707) 823- 5313, 8AM-5PM (PST) Monday-Friday. STIHL Inc., of Virginia Beach, Va., is recalling about 100,000 STIHL gas-powered chain saws. The company has received 117 reports of pinched or leaking fuel lines. No fires, property damage or injuries have been reported. Recalled chain saws have a serial number between 173092800 and 181993952, under the front hand guard on the engine housing’s sprocket side. The chain saws, manufactured in Germany, were sold at authorized STIHL dealers nationwide from July 2012, through December 2016, for about $1,000. Consumers may contact STIHL at 800-233-4729 between 8 a.m. and 8 p.m. (ET) Monday through Friday, by email at stihlrecall@stihl.us, or online at www.stihlusa.com and click on Information and then Product Recalls for more information. Jayco is recalling 93 model year 2017 Seismic and Seismic Wave fifth-wheel recreational trailers equipped with hydraulic brakes. The vehicle's break away switch may not be wired properly. If the break away switch does not function correctly due to improper wiring and the trailer disconnects from the tow vehicle during transit, the fifth wheel brakes will not apply automatically, increasing the risk of a crash. Jayco will notify owners, and dealers will correct the wiring, free of charge. The recall is expected to begin March 30, 2017. Owners may contact Jayco customer service at 1-800-283-8267. 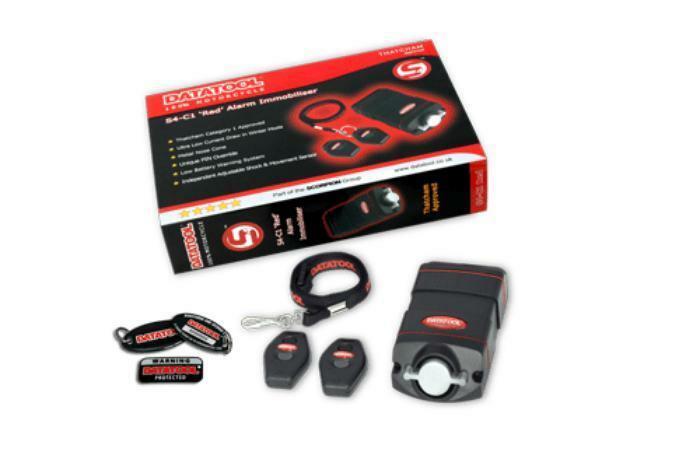 Jayco's number for this recall is 9901344. 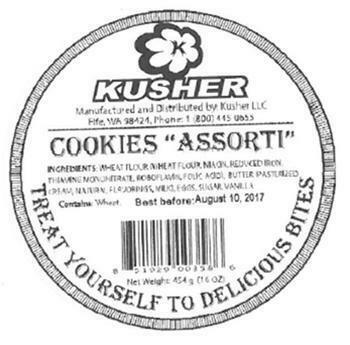 Kusher LLC of Fife, Wash., is recalling various cookie products containing milk and eggs, allergens not declared on the label. The recalled products were shipped to distributors in California and Oregon, and to retailers in Washington between August 2016, and February 17, 2017. Customers who purchased the recalled products should not consume them if they have an allergy or severe sensitivity to milk or egg, but discard them or return them to stores. Consumers with questions may contact the company at 253-223-8508 from 8am to 4pm (PST) Monday-Friday. 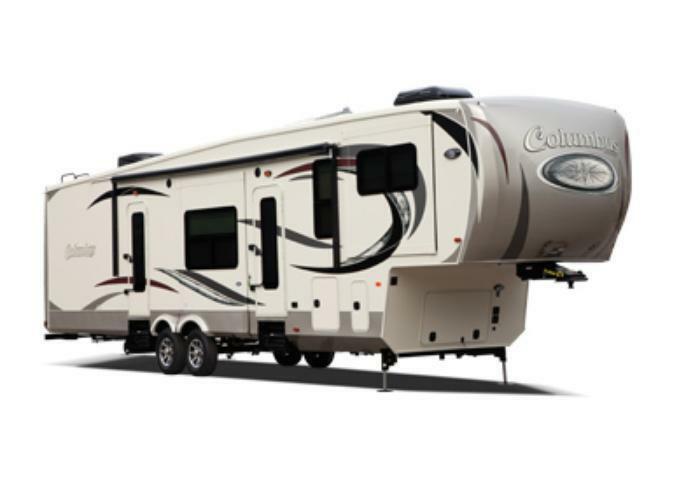 Forest River is recalling five 2017 Palomino Columbus recreational vehicles equipped with the package to install an optional generator. The liquid propane supply hose for the generator may be too small, and, as a result, the stove may not have a sufficient supply of propane to keep the burner(s) lit. If the burner(s) cannot stay lit, after the flame extinguishes, propane may continue to flow into the vehicle, increasing the risk of a fire or explosion when the stove range is re-ignited. Forest River will notify owners, and dealers will install the correct propane supply lines, free of charge. The recall is expected to begin April 5, 2017. Owners may contact Forest River customer service at 1-574-825-3161. Forest River's number for this recall is 410-0201207-0317. Foretravel is recalling 22 model year 2015-2017 Realm motorhomes. The brake pedal movement may be restricted in the pedal box, possibly preventing full brake application and increasing the risk of a crash. Foretravel will notify owners, and dealers will reposition or modify the pedal box to allow the proper brake pedal travel, free of charge. The recall is expected to begin March 31, 2017. Owners may contact Foretravel customer service at 1-800-955-6226. 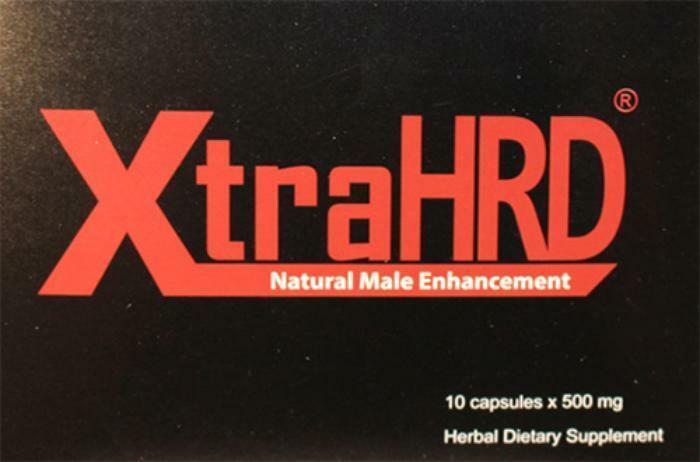 Organic Herbal Supply is recalling all lots of XtraHRD Natural Male Enhancement capsules. The product contains Tadalafil, an FDA-approved drug used as treatment for male erectile dysfunction, whose active ingredients are not listed on the label. No adverse events have been reported. 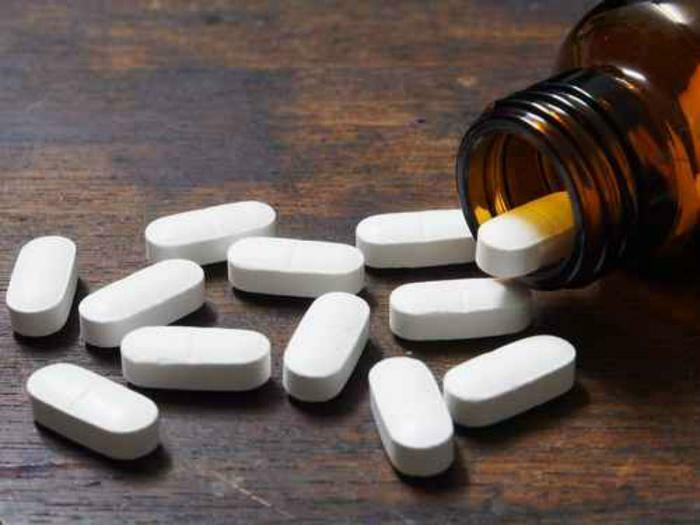 The recalled product, marketed as a dietary supplement for erectile dysfunction, is packaged in 2, 4 and 10-count packages and sold nationwide. 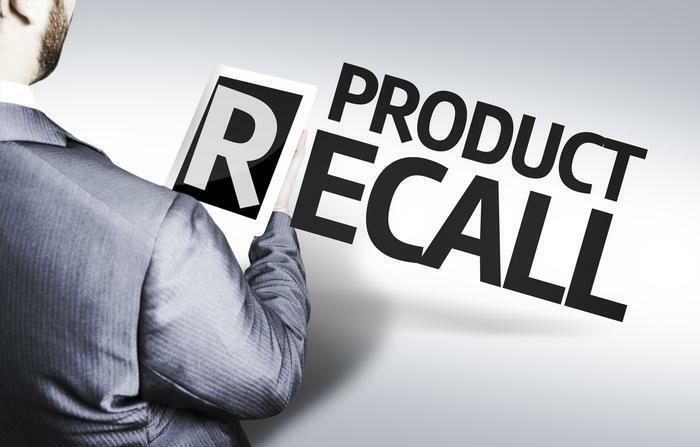 Customers who purchased the recalled product should stop using it and return any unused portion to the company for a full refund. Consumers with questions may call 855-429-7328 between 10 a.m. and 5 p.m. (PST) for instructions on the return and refund process. 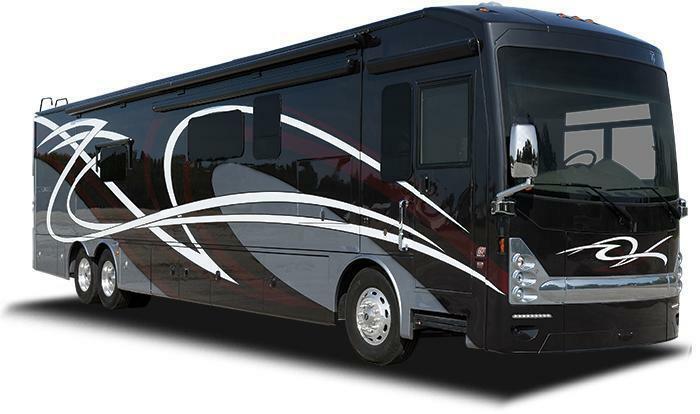 Thor Motor Coach (TMC) is recalling 1,824 model year 2014-2015 Tuscany, Tuscany XTE and Palazzo motorhomes. The windshield wiper systems may have been improperly installed or secured, causing the wipers to fail during operation. If the windshield wipers fail, the driver would have decreased visibility, increasing the risk of a crash. TMC will notify owners, and dealers will inspect the wiper system, tightening the wiper nuts to the proper specifications, as necessary, free of charge. The recall is expected to begin April 13, 2017. Owners may contact TMC customer service at 1-877-500-1020. TMC's number for this recall is RC000128. 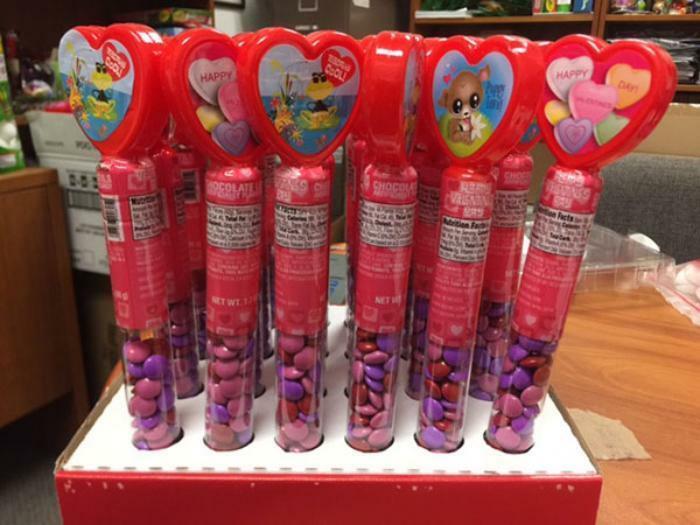 Bee International of Chula Vista, Calif., is recalling Plastic Heart Tubes with Chocolate Lentils that may contain milk, an allergen not declared on the label. The recalled product, packaged in a 1.7-oz. clear plastic tube marked with Best Before April 2019 on the label and bearing the UPC 0-73563-00805-9, was distributed nationwide in retail stores and through food distributors. SodaStream USA of Mount Laurel, N.J., is recalling about 58,600 SodaStream carbonating bottles sold in the U.S. and Canada. This recall involves SodaStream one liter, blue tinted, plastic carbonating bottles. “SodaStream” and “Dishwasher safe” are printed on the recalled bottles. Only bottles with an expiration date of “4/2020” printed on the warning label are included in the recall. The recalled bottles have a blue cap and blue bottom base. The bottles, manufactured in Israel, were sold at Bed Bath & Beyond, Target, Walmart and other stores and online at www.amazon.com and www.sodastream.com from February 2016, through January 2017, for about $15. Consumers may contact SodaStream USA toll-free at 866-272-9417 between 9 a.m. to 7 p.m. (ET) Monday through Friday or online at www.sodastreamvoluntaryrecall.com for more information. 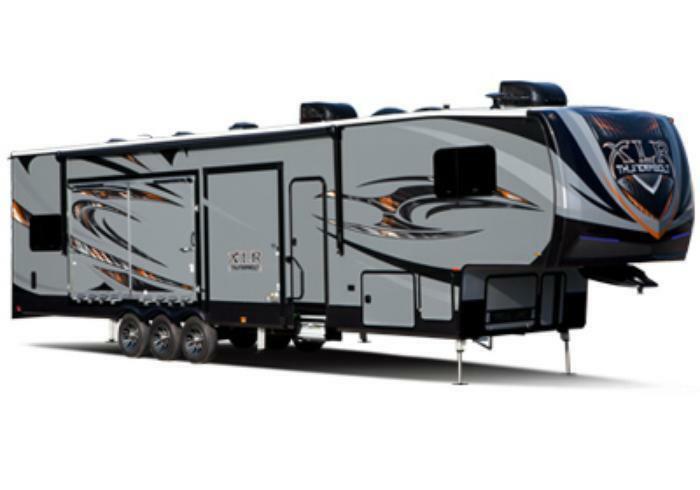 Heartland Recreational Vehicles is recalling 603 model year 2017 Cyclone and Road Warrior toy haulers equipped with a Furrion cook top. The liquid propane (LP) hose that is connected to the cook top may be angled incorrectly, causing excessive pressure on the hose fitting and the gas valve, potentially resulting in a propane leak. A propane leak in the presence of an ignition source can increase the risk of a fire. Heartland will notify owners, and dealers will install a flexible gas connector from the cook top to the LP hose, free of charge. The manufacturer has not yet provided a notification schedule. Owners may contact Heartland customer service at 1-877-262-8032. Heartland's number for this recall is 99.01.33. Chapis Spice & Tea is recalling various bread crumb products containing wheat, milk, eggs, tree nuts and soybeans, allergens not declared on the product label. Customers who purchased the recalled products should dispose of them or or return them to the place of purchase for a full refund. Consumers with questions may call (323) 500-8614. Daimler Vans USA (DVUSA) is recalling 15,338 model year 2013-2016 Mercedes-Benz Sprinter 2500 and 3500 and Freightliner Sprinter 2500 and 3500 vans. The vehicles were manufactured without a reinforcement plate and protective bracket on the airbag control unit. As a result, the airbag control unit may not remain functional after the initial impact, possibly preventing additional airbags from deploying in response to a secondary impact. If additional airbags do not deploy as intended, the occupants are at an increased risk of injury. DVUSA will notify owners, and dealers will install a reinforcement plate and protective bracket around the air bag control unit, free of charge. The manufacturer has not yet provided a notification schedule. Owners may contact DVUSA customer service at 1-877-762-8267. Licata Enterprises of Huntington Beach, Calif., is recalling all lots of its The Supreme One / Theravits 100 multiple vitamins. The product contains Vitamin A (partially from fish liver oil) which is clearly stated in the Supplement Facts portion of the label. however, another part of some labels also incorrectly state “... contains no common allergens” leading some with fish allergies to believe the product is safe for them. In addition, the separate allergen statement “contains fish” is missing, and on some labels the following ingredients were missing: Molybdenum, Pancreatin, Diastase, Papain, Ox Bile, Vanadium, Silicon, Boron, and Bromelain. The Supreme One and Theravits 100 product is sold under the brand names of Nature’s Concept, VP Discount, Clark’s Nutrition, Hsu & Co, Spatz, Weber Health Foods, Harvest Natural Foods, Nature’s Nutrition, Vita Sun, Good Health, Kraski’s, Lynden Nutrition, Seaside Health Foods, and Vita-Vista. The recalled product is packaged in amber or white plastic bottles with the product Code Number of 680 or 078 and the lot numbers 680xxxx or 078xxxx. It was distributed primarily in Southern California, Ohio and Pennsylvania through health food stores, but also in Wyoming, Virginia, Utah, Idaho, Washington, Oregon and Texas. Customers who purchased the recalled product should return it immediately to the place of purchase for a full refund. Consumers with questions may contact Paul Licata at 714-893-0017. Legendary Baking of Denver, Colo., has expanded its earlier recall of 34-oz. 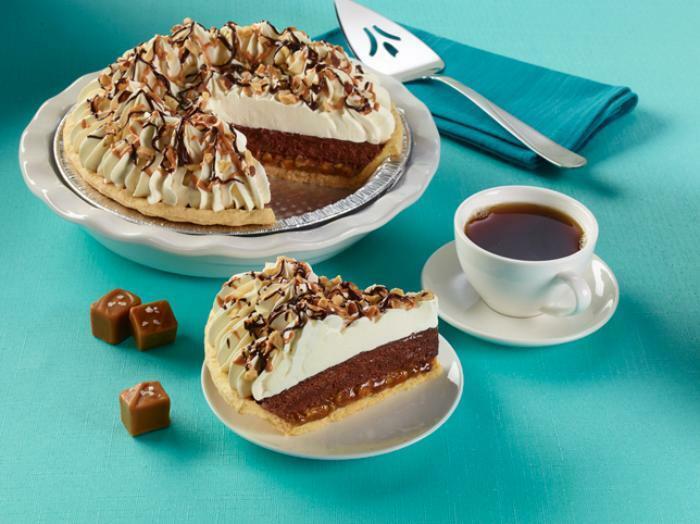 packages of Private Selection Salted Caramel Chocolate Almond Pie. The product contains, almonds and eggs, allergens not declared on the label. The recalled product, which comes in a 34-oz. clear plastic package dome with a black plastic bottom base and is marked with lot # CH17025 on the side of the clear plastic dome was distributed in Kroger, Fry’s and Smith’s retail stores in Alabama, Arizona, Georgia, Illinois, Indiana, Kentucky, Mississippi, New Mexico, Ohio, South Carolina, Tennessee and West Virginia. The product also went to Fred Meyer, King Soopers and City Market retail stores in Colorado, Idaho, New Mexico, Oregon, Utah, Washington and Wyoming. Consumers with questions and concerns may contact Legendary Baking at 1-844-617-8238 Monday-Friday, 8am-5pm (CST). 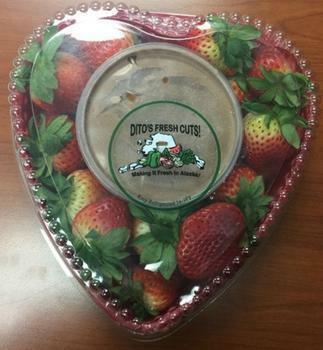 Anchorage, Alaska-based Ditos initiated a recall of certain fruit tray products due to the inclusion of undeclared milk and soy. Consumers with severe allergies to either may have a serious or life-threatening reaction if they consume the products. The recall covers 50 cases of "Heart Plastic Platter Strawberries w/ Dip with Chocolate Frosting-Refrigerated" and 30 cases of "Heart Plastic Platter Mixed Fruit w/ Dip with Chocolate Frosting-Refrigerated." The products were distributed solely in Alaska and sold at seven Walmart locations in Debarr, Dimond, Eagle River, Fairbanks, Midtown, and Wasilla. No illnesses have been reported in association with this recall thus far. Information on the universal product code (UPC), pack size, brand, description, and "Use By" date can be seen below. The "Use By" date is printed on the bottom of the products' platter. Consumers who have purchased either of the recalled products have been urged not to consume it. Products fitting the above description should be discarded. For more information, consumers can contact the company at 907-202-1693, Monday through Friday, from 8:00 a.m. to 5:00 p.m. PST. Cousins Products LLC, based out of Madisonvill, Louis., is issuing a voluntary recall of its 16 oz. 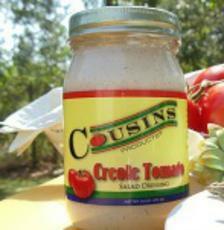 Creole Tomato Dressing products. The company says that the items may contain undeclared milk, which could pose a danger to consumers who have milk allergies. The products were distributed throughout Southeastern Louisiana and come in 16 oz. glass jars with metal lids. The "Best By" date of affected products is 05/18/17; the Jar/Case Lot Number is 0001118; and universal product code (UPC) is 5027800100. The recall was initiated after consumers reported that the affected Creole Tomato Dressing jars contained Blue Cheese dressing, which contains milk. Under normal circumstances, these products do not contain milk. The company has stated that this is an isolated incident and that no other lots or products have been affected. No reports of illness have been submitted thus far. Consumers who have purchased the recalled product are urged not to consume it and to contact Cousins Products LLC for a product exchange or refund. The company can be reached at (985) 792-7694, Monday through Friday, from 9:00 a.m. to 4:00 p.m., or by email at cousinsproducts@gmail.com. Yesterday, we reported that Sargento was recalling a large number of cheese products due to concerns of listeria contamination. Now, Country Fresh is taking precautionary steps and recalling 2,552 various cooking and snacking products out of similar concern. Listeria monocytogenes is an organism can be potentialy fatal to young children, the elderly, or consumers with frail or compromised immune systems. However, even healthy consumers can experience symptoms such as high fever, severe headache, stiffness, nausea, abdominal pain, and diarhhea. Pregnant women who are infected stand the chance of having a miscarriage or stillbirth. The recalled products were shipped to retailers in Alabama, Florida, Georgia, Kentucky, Louisiana, Maryland, Mississippi, North Carolina, South Carolina, Tennessee, Texas, and Virginia under the Country Fresh and store brand labels. There have been no reports of illness related to these products, but Country Fresh CEO Bryan Herr stated that the company was erring on the side of caution in issuing the recall. "Nothing is more important than ensuring that consumers enjoy nothing but high quality, nutritious, and safe and wholesome products from us," he said. Consumers who have purchased any of the above products have been urged to dispose of them or return them to the place of of purchase for a full refund. For more information, consumers can contact the company at 281-453-3305, Monday through Friday, from 9 a.m. to 5 p.m. CDT. 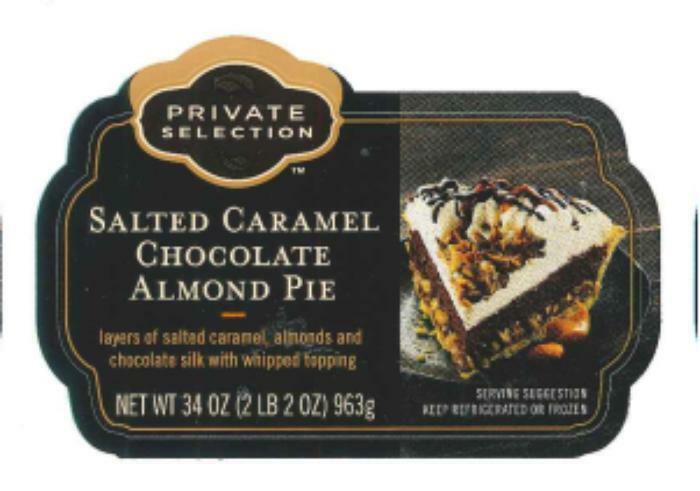 Legendary Baking of Denver, Colo., is recalling Private Selection Salted Caramel Chocolate Almond Pie. The recalled product is packaged in a 34-oz. clear plastic dome with a black plastic bottom base, and marked with lot # CH17025 on the side. It was sold at Kroger, Fry’s and Smith’s retail stores in Alabama, Arizona, Georgia, Illinois, Indiana, Kentucky, Mississippi, New Mexico, Ohio, South Carolina, Tennessee and West Virginia. Customers who purchased the recalled product and have allergy problems should return it to the place of purchase for a full refund. Consumers with questions and concerns may contact Legendary Baking at 1-844-617-8238 Monday-Friday 8a-5pm (CST). 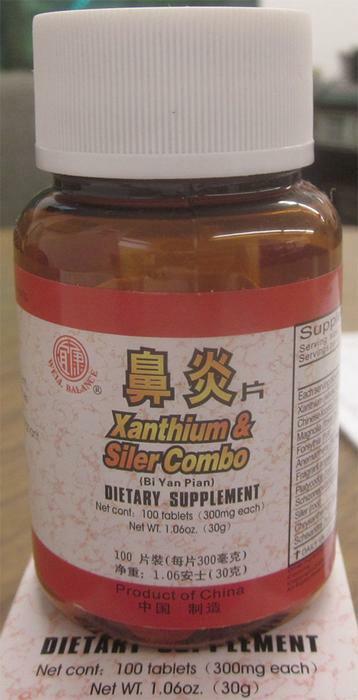 Kingsway Trading of Brooklyn, N.Y., is recalling 1.06-oz (30g) bottles of “Well Balance Xanthium & Siler Combo (Bi Yan Pian)” Batch No. 130401 & Batch No. 150201. The product contains Ephedra Herba (ma huang), which is banned by the Food and Drug Administration and not declared on the label. The recalled product is packed in a plastic brown bottle with a white cap. Each bottle contains 100 Tablets, each tablet is 300mg. It was distributed through vendors such as oriental herb stores, acupuncture clinics and Oriental supermarkets in Massachusetts, New Jersey, New York, Illinois, Maryland, Florida, Missouri, Texas, Indiana, Georgia, Delaware, Colorado, Virginia, Pennsylvania, Connecticut, Oregon and Arizona, which further distribute them to their individual customers. Fred Meyer Stores is recalling 16-oz. 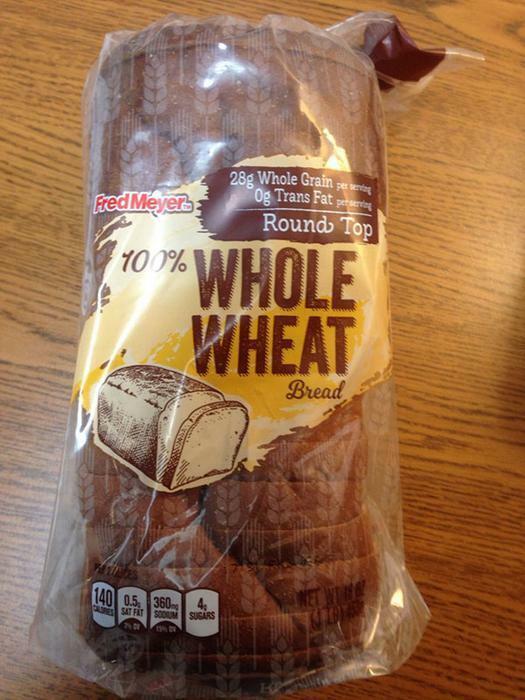 loaves of Fred Meyer 100% Whole Wheat Bread sold in its retail stores. The product may contain nonfat dry milk, an allergen not declared on the label. The company has initiated a recall notification system that alerts customers who may have purchased recalled products through register receipt tape messages and phone calls. Customers who purchased the recalled product and are allergic to milk should not consume it, but return it to a store for a full refund or replacement. Consumers with questions may contact Kroger at 1-800-KROGERS, Monday through Friday, 8 a.m. – 9 p.m. (EST). 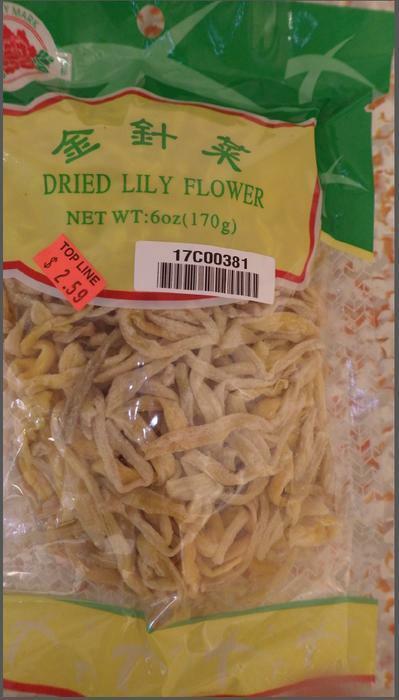 Starway Incorporated of Brooklyn, N.Y., is recalling Peony Mark brand Dried Lily Flower containing sulfites not declared on the label. The recalled product comes in a 6-oz. (170 gram) clear, un-coded plastic bag with the UPC number 686529131632, and was distributed nationwide. Customers who purchased the recalled product should return it to the place of purchase. 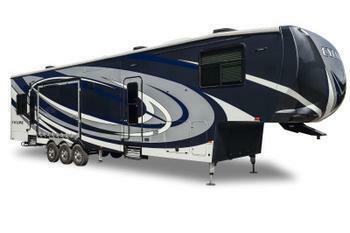 Forest River is recalling six model year 2017 XLR fifth-wheel recreational vehicles. The vehicles have a federal placard that identifies them as a "Travel Trailer" instead of "Fifth-Wheel." Also, the VIN does not correspond to the type of vehicle. With the incorrect information, the operator may attempt to tow the vehicle incorrectly, increasing the risk of a crash. Forest River will notify owners, and will provide a new corrected federal placard, free of charge. The recall is expected to begin March 21, 2017. Owners may contact Forest River customer service at 1-574-642-0432. Forest River's number for this recall is 45-0132016-0312. Triumph Motorcycles America is recalling 225 Triumph S 4 Alarm Kits and Immobilizers made by Datatool. The alarm was sold for aftermarket use on certain Trophy, Trophy SE, Tiger 1050, Daytona 675, Rocket III, Tiger 800, Tiger 900, Tiger 955, Daytona 600, Daytona 650, Sprint ST 1050, Sprint ST, Sprint RS, America 790, Daytona 955i, Speed Triple 955i, Thunderbird, Street Triple, Bonneville 865cc, Thruxton 865cc, Bonneville T100 865cc, America/Speedmaster, Speed Triple 1050i, Sprint ST 1050, Sprint GT 1050 ABS, Speed Triple, T100, Street Twin, T120, Thruxton/R and Tiger Explorer motorcycles. The alarm's internal nickel hydride battery may leak onto the unprotected circuit board below it, possibly causing the engine to stall and increase the risk of a crash. Triumph will notify owners, and dealers will replace the affected alarms, free of charge. The recall is expected to begin in February 2017. Ukrop’s Homestyle Foods of Richmond, Va., is recalling approximately 45 pounds of beef and chicken chili flavored soup products. The products contain milk, wheat and soy, allergens not declared on the label. 6-lbs. of 24 oz. clear plastic containers of “Ukrop’s Chili Flavored Soup with Beans and Chicken” with a sell by date of 02/08/17 on the label. 39-lbs. of 24 oz. clear plastic containers of “Ukrop’s Chili Flavored Soup with Beans and Beef” with a sell by date of 02/08/17 on the label. The products subject to recall bear establishment number “EST. 19979” or “P-19979” inside the USDA mark of inspection. These items were shipped to retail locations in Virginia. Consumers with questions about the recall may contact Susan Rowe at (804) 340-3104. Restoration Hardware of Corte Madera, Calif., is recalling about 1,400 round Venetian style glass mirrors. The company has received four reports of the mirror detaching from the wood backing, resulting in two laceration injuries. This recall involves Restoration Hardware’s 18th Century Venetian style glass beveled mirrors. The recalled mirrors are antiqued silver with a wood backing and come in the following shapes and sizes. This recall only affects mirrors with a Hangman hanging system on the back. 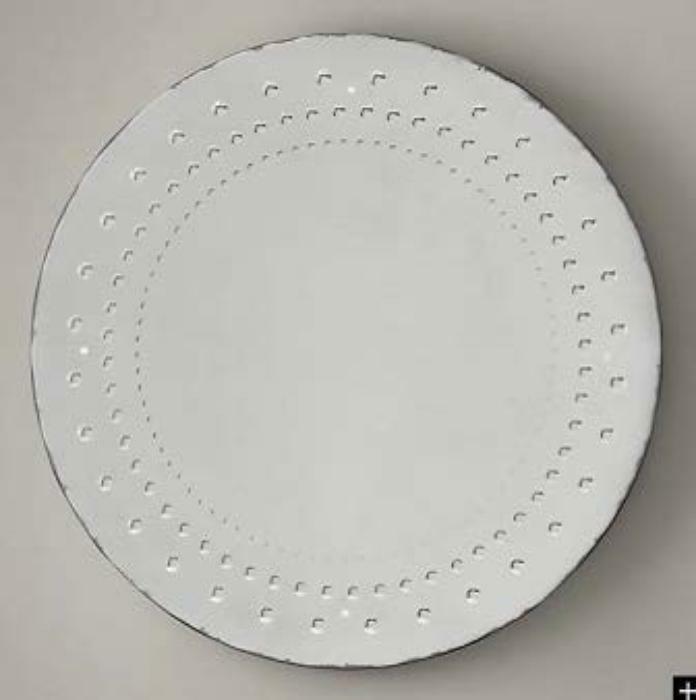 Mirrors with a production date after April 1, 2015 are included in this recall. The month and year of production (04/2015) are located on a green sticker affixed to the back of the mirrors. The mirrors, manufactured in India, were sold at Restorationhardware.com and Rhbabyandchild.com from April 2015, through May 2016, for between $650 and $1,800. Consumers may contact Restoration Hardware toll-free at 888-728-8419 from 8 a.m. to 5 p.m. (PT) Monday through Friday or online at www.restorationhardware.com and click on Safety Recalls at the bottom of the page for more information. The vehicles' fuel lines may weep or leak fuel. Airstream is recalling 82 model year 2017 Flying Cloud, International, and Sport recreational trailers. The Vehicles' federal certification label and tire placards have incorrect information. The label was printed for ST225/75R15 Load Range E tires, but the vehicle has ST225/75R15 Load Range D tires. As such, these vehicles fail to comply with Federal Motor Vehicle Safety Standard (FMVSS) number 110, "Tire Selection and Rims" and Part 567, "Certification." The incorrect information on the labels could cause an owner to overinflate the tires, possibly resulting in a tire blowout, increasing the risk of a crash. Airstream will notify owners, and dealers will replace the incorrect label with a corrected label, free of charge. The manufacturer has not yet provided a notification schedule. Owners may contact Airstream customer service at 1-937-596-6111, extension 7401 or 7411. Maserati North America is recalling 39,381 model year 2014-2017 Quattroportes, Ghiblis and Levantes. Adjusting the front seats may cause the seat wiring harness to rub, possibly resulting in an electrical short which can increase the risk of a fire. Maserati will notify owners, and dealers will inspect the vehicles, replacing the seat wiring harness, as necessary, free of charge. The recall is expected to begin March 21, 2017. Owners may contact Maserati customer service at 1-201-510-2369. Maserati's number for this recall is 342. 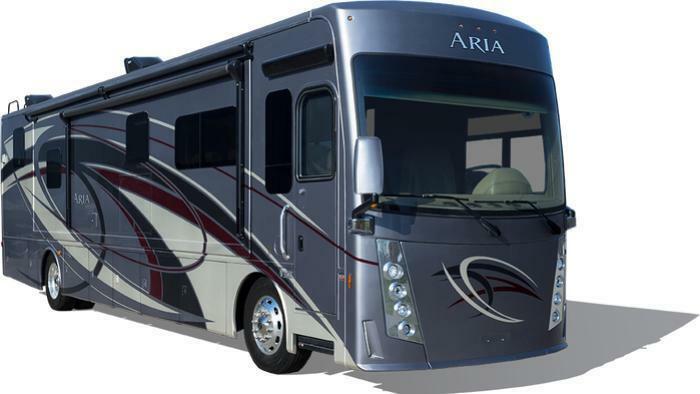 Thor Motor Coach (TMC) is recalling 94 model year 2017 Aria motorhomes. The driver's side sofa seatbelts may be too short for passengers to use. An occupant not restrained by a seatbelt in the event of a crash has an increased risk of injury. TMC will notify owners, and dealers will install longer seatbelts, free of charge. The recall is expected to begin on March 17, 2017. Owners may contact TMC customer service at 1-877-500-1020. TMC's number for this recall is RC000127. 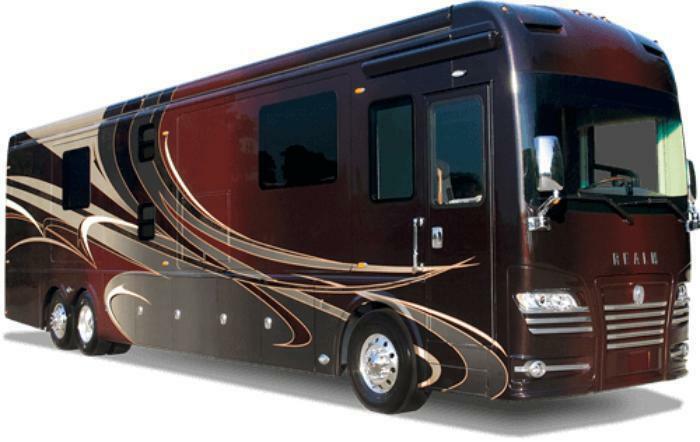 Highland Ridge RV is recalling 396 model year 2017 Open Range, Mesa Ridge and Roamer fifth wheels and travel trailers. The vehicles are equipped with an outside range that can be stored with the gas valve left open, allowing gas to enter and buildup within the vehicle. Gas leaking into the cabin can increase the risk of an explosion or fire. Highland will notify owners and dealers will install a larger gas valve handle, inspect that the drawer guide rail is in its proper location, repairing it as required, and place a warning label on the range stating the gas valve must be turned off prior to storing the range in the unit. The recall is expected to begin February 28, 2017. Owners may contact Highland customer service at 1-260-768-7771. Highland's number for this recall is 9904341. The vehicles' federal placards may indicate an incorrect tire and rim combination. 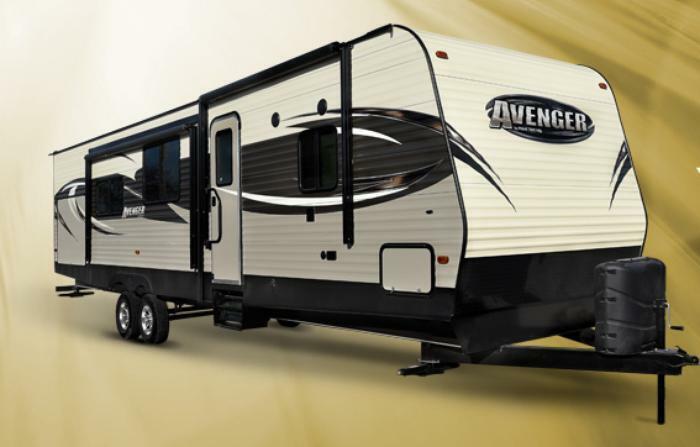 Forest River is recalling 165 model year 2017 Prime Time Avenger recreational vehicles. The vehicles' federal placards may indicate an incorrect tire and rim combination. The placard indicates ST225/75R15E tires with 80 PSI and a rim designation of 15X6.0JJ, while it should indicate ST225/75R15D tires with 65 PSI and a rim designation of 15X5.0JJ. As such, these vehicles fail to comply with the requirements of Federal Motor Vehicle Safety Standard(FMVSS) number 110, "Tire Selection and Rims." Incorrect tire information can cause the tires to be over inflated, possibly resulting in a tire blowout and increasing the risk of a crash. Forest River will notify owners, and dealers will install a corrected federal placard, free of charge. The recall is expected to begin March 10, 2017. Owners may contact Forest River customer service at 1-574-862-1025. Forest River's number for this recall is 48-01162017-0310.